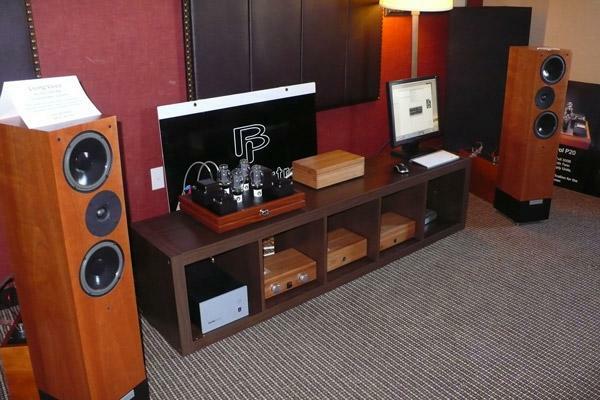 Gary Gill of Sousahorn, plus Dave Slagle and Jeffrey Jackson of Emia Audio, combined to demonstrate some of that dissention and diversity in the Sousahorn room. Try to imagine a show so easy-rolling and human-scaled, that the organizer and hour-to-hour manager of the showGary Gillcan team up with his buddies and demonstrate one of his own products! 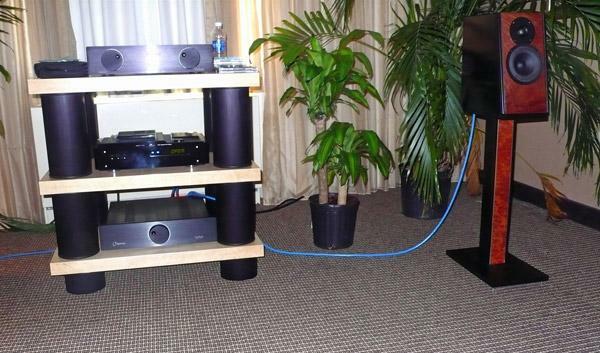 The sound Gary Dews was getting from the Border Patrol P21 push-pull 20W 300B amp ($12,750) driving the Living Voice Avatar loudspeakers ($11,850/pair) with Gary's own non-oversampling DAC ($9500) was lively, colorful, and unabashedly refined. When I got to Gary's room my head was spinning. Being a first-time show reporter had me revved up, forgetful and anxious. I felt like Mr. McGoo. The easy flow and gentle melodies in the Border Patrol room allowed me to breathe air, relax, and slip into a dreamy mood of peace and admiration. Most of the exhibitors at CAF are not big brandnames with factories employing more than 100 persons. 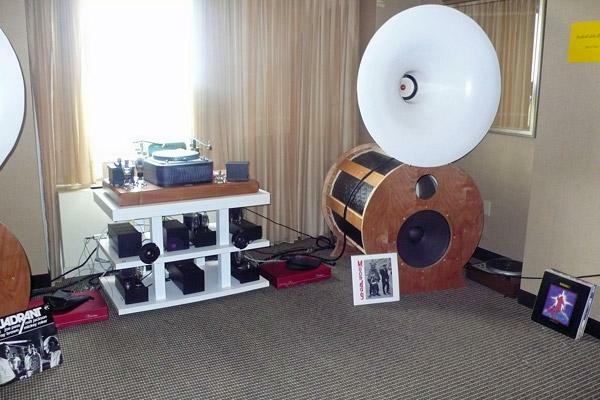 Most are highly inspired and maximally driven "ma & pa" operations like Klaus Bunge's Odyssey Audio. What is unique about Klaus is that he appears to begin designing with a very clear idea of what he wants (precision, dynamics, and laser-clear soundstages). Starting with a cost-is-no-object design, Mr. Bunge distills it over and over making it simpler and less costly each step of the way. 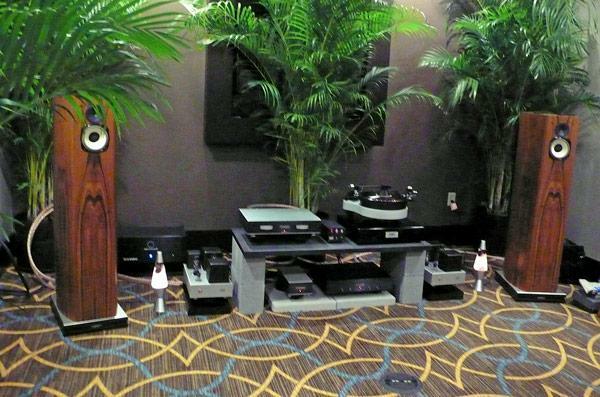 Hold an audio show in a hotel? 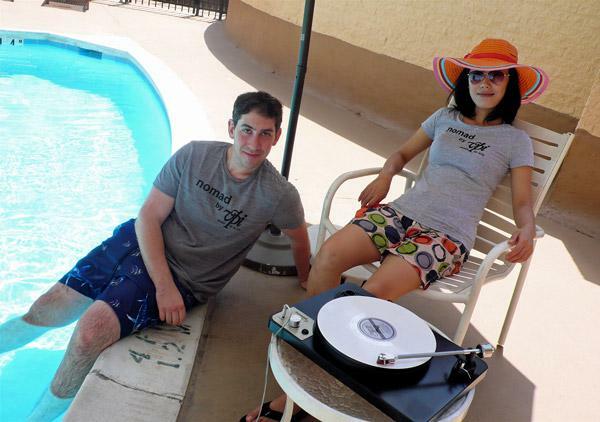 VPI's Mat Weisfeld was snapped taking full advantage of the amenities and listening to music courtesy of VPI's new Nomad record player! At the end of a long day of standing in halls and sneaking into converted bedrooms with little rows of chairs I find myself wonderingare there any other trade shows or hobby fairs that take place in the sleeping-rooms part of hotels? Certainly there are no others where so many are hoping so muchfor a seat in the middle! 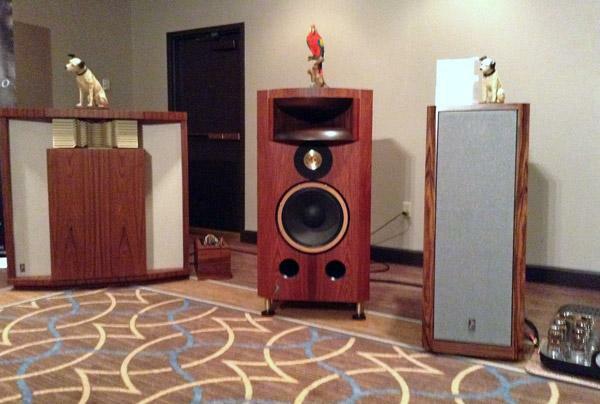 Stalking the halls to experience 38 rooms at Capital AudioFest in three days feels like trying to see the whole Smithsonian in one day. When I got back to my room tonight my ears were ringing from the rock-concert volume levels played in most rooms. My eyes were spinning from trying to read upside down name tags scribbled with Sharpies. But because I have been an exhibitor so many times, I remember that the most important thing I can do is recognize and respect the hope and effort (and money) all these exhibitors and organizers have invested. It is really funny how a simple thing like what hat I am wearing can affect everything I see and hear. When I used to wear my audio show "visitor" hatonly a few rooms had good sound and the equipment all seemed overpriced. When I wore my "exhibitor" hat my room always had the best music and the best sound. Now, I am wearing my "reporter" hat and a little tag that says Stereophile at the Capital Audio Fest, which runs Friday through Sunday at the Silver Spring, Maryland, Sheraton and the first three rooms I visit have amazing sound. How can this be? 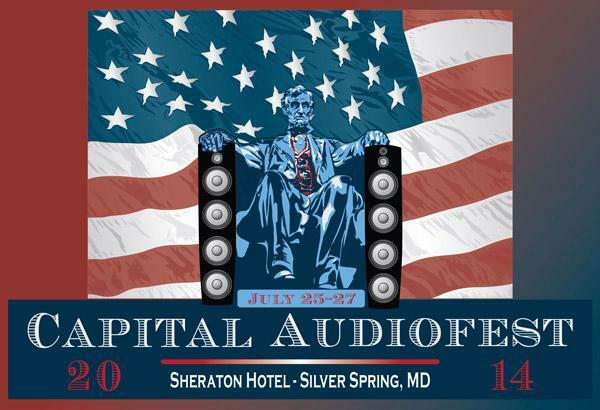 The annual Capital Audio Fest (CAF), the Mid-Atlantic States' premier playground for audio, returns to the Sheraton Hotel in Silver Spring, MD on July 2527. With the addition of its CanMania, whose list of vendors continues to grow; Saturday's Headphone Meet; and a new focus on high-resolution downloads, the annual show expects to draw a younger and bigger crowd of up to 2000 attendees to its eminently accessible location.